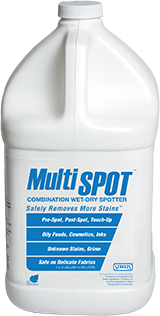 A full line of proven and exceptional stain and spot removal agents for use with any drycleaning solvent system, professional wetcleaning, and laundry, including pretreatments, pre-brushing, pre and post spotting products and stain lifters for both experienced and beginning spotters. 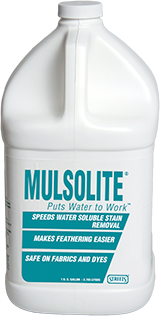 Volatile dry-side (VDS) stain remover for use on dry-side stains like cosmetics, shoe polish, tar, ink, grease & paint. 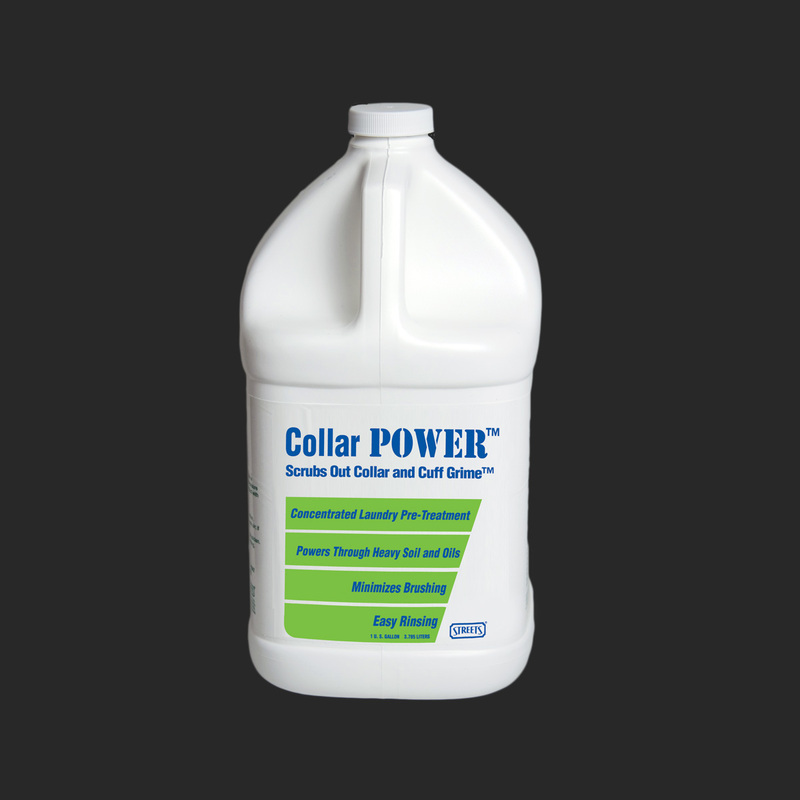 For use with drycleaning. 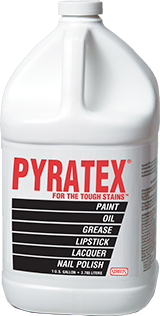 Oily-type dry-side stain remover for tough stains like paint, tar, grease, lipstick, lacquer & nail polish. For use with drycleaning. Safely removes water-soluble stains on silk, rayon, wool, linen, cotton & other sensitive fabrics and protects garments from the damaging effects of moisture remaining in fabrics after wet-side spotting. For use with drycleaning. More aggressive tannin stain remover for expert professionals. For use with wetcleaning or drycleaning. 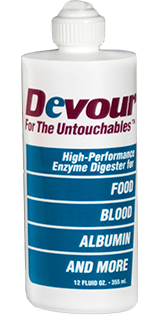 Liquid enzymatic digester for stains containing protein or starch for expert Professionals. 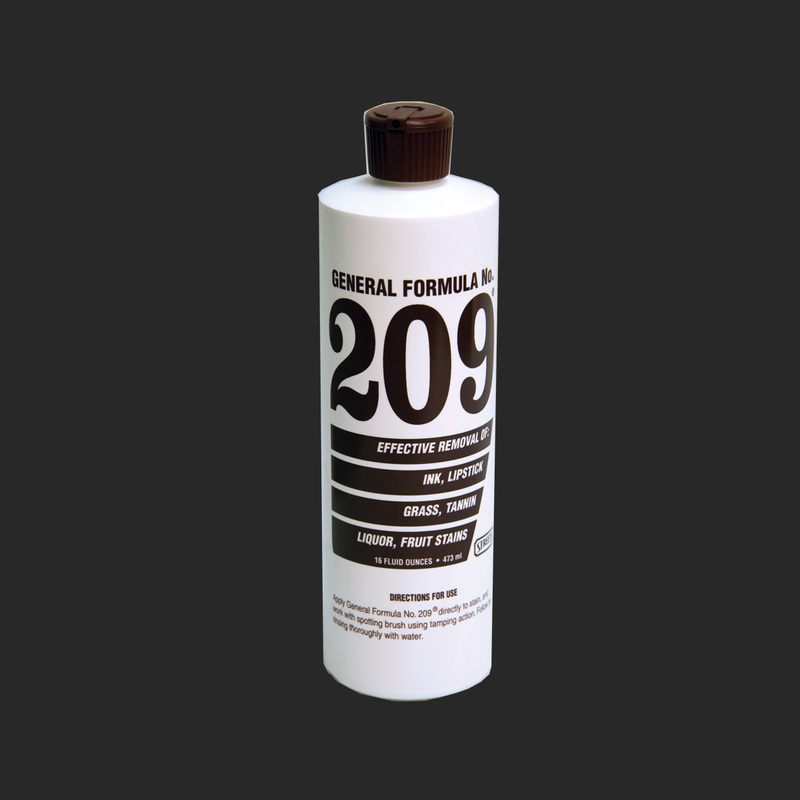 For use with wetcleaning or drycleaning. 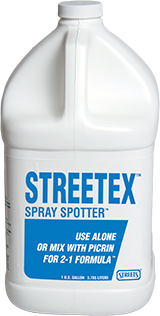 General pre-spotter and for safe, fast & effective removal of water-soluble soils. 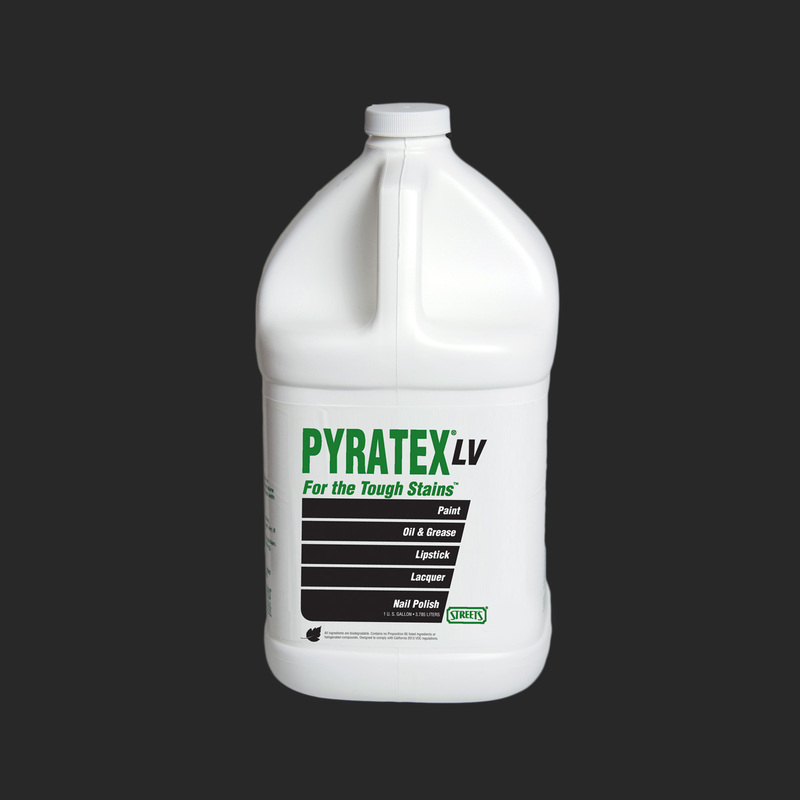 For use with wetcleaning or drycleaning. Acts as a lubricant and leveling agent. Works equally well on other laundered items, such as khakis and golf shirts. 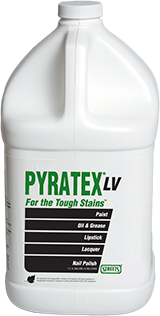 Oily-type dry-side stain remover for tough stains like paint, oil, grease, lipstick & cosmetics. For use with wetcleaning or drycleaning. 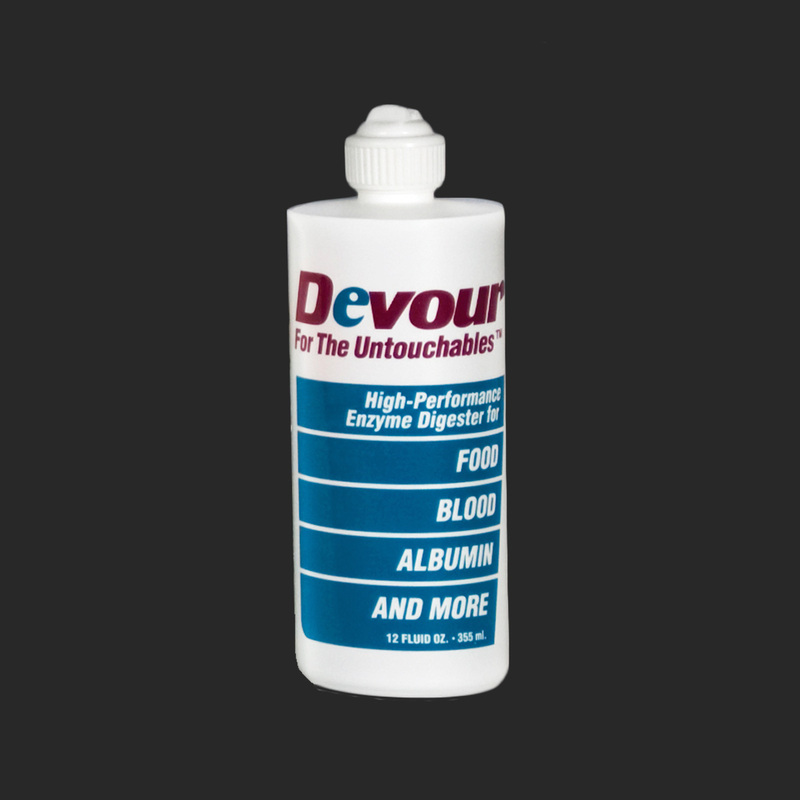 Removes combination wet and dry stains & mystery stains. 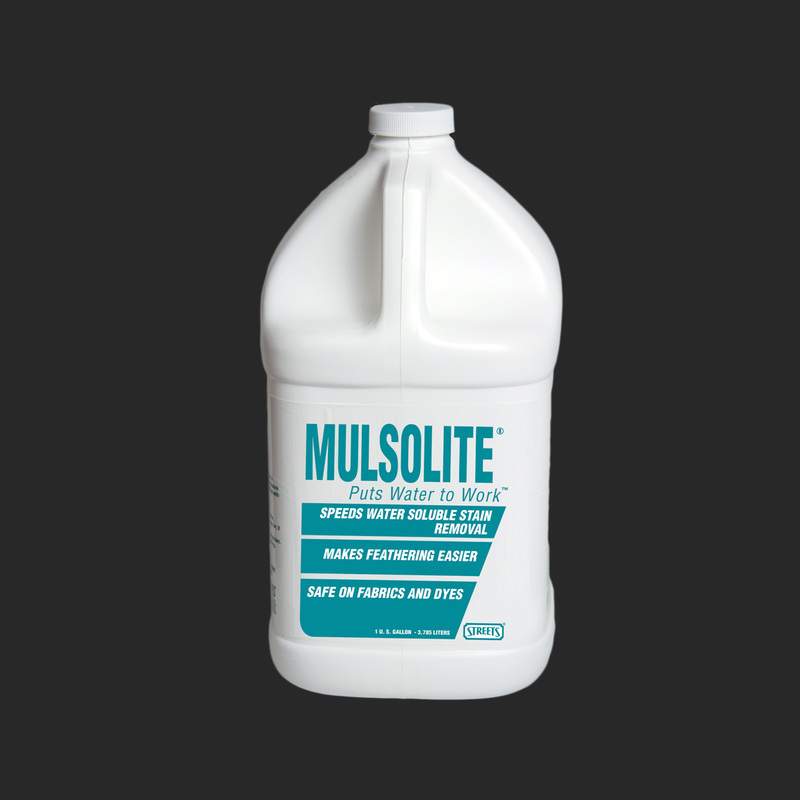 For use with wetcleaning or drycleaning. Safe for most fabrics and colors. 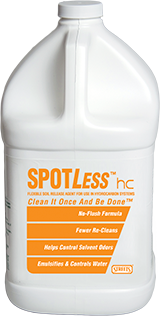 Neutral lubricant that makes wet-side stain removal easier, faster, & more effective. 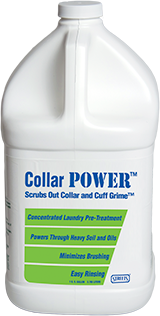 For use with wetcleaning or drycleaning. 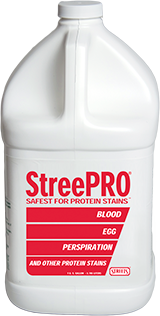 Alkaline formula for safe, fast & effective removal of protein stains. 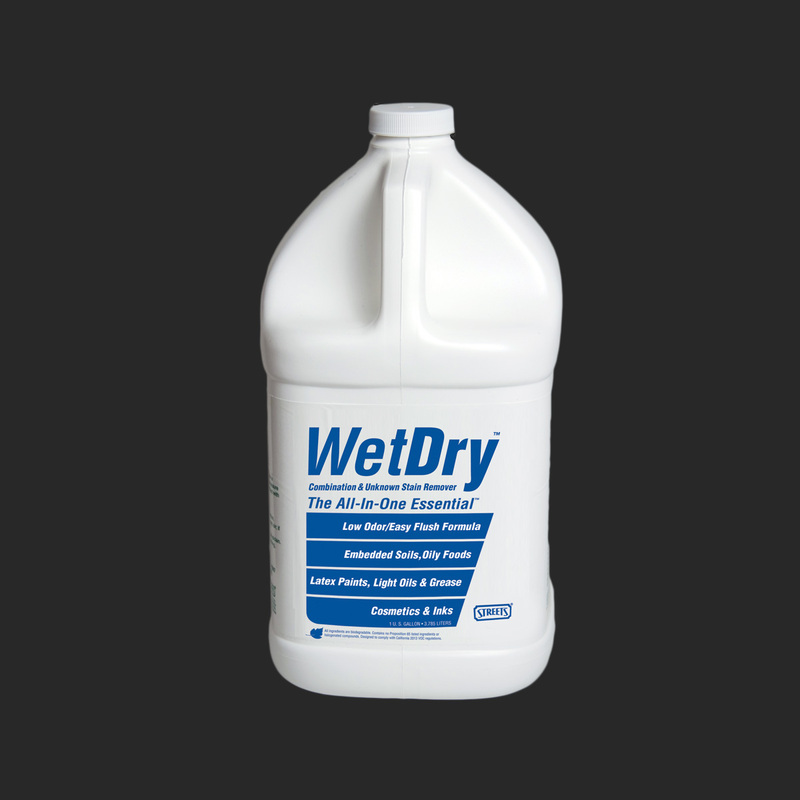 For use with wetcleaning or drycleaning. 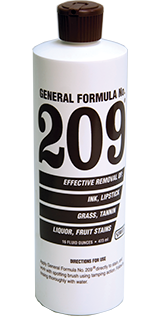 Efficiently removes coffee, beer, grass, liquor, mustard, soft drinks, tea, wine & other tannin stains.